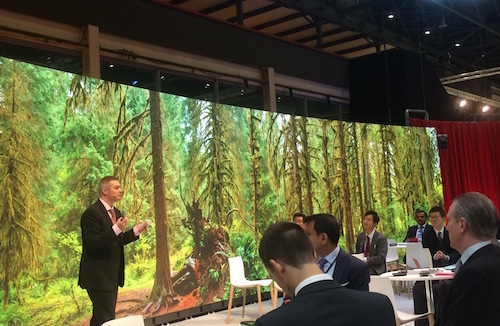 “We are a space of calmness, a cocoon to get away from the rush of Sibos,” the Innotribe team said at the opening of Sibos 2016 in Geneva, to the backdrop of a green leafy forest. Calm as it may be, there is no getting away from Sibos’ key themes. Particularly the omni-present blockchain. Innotribe’s Industry Challenge – the results of which have been just unveiled – was all about blockchain and disruptive technologies. Three star-ups won the challenge to introduce blockchain to the securities sector: SmartContract, Rise and Coin Sciences. The three companies will combine their expertise and resources with those of mighty Swift to work on bringing blockchain to the lifecycle of a bond and eventually bring to market an enhancement to an existing commercial approach. The next step is a series of proof-of-concepts (PoC), which will involve three parties – the start-ups, Swift and potential customers. Sergey Nazarov, CEO of SmartContract: “We allow existing financial infrastructures to connect and interact with next-generation infrastructures such as smart contract networks, Bitcoin, Ethereum and others. “The core of our PoC is to allow smart contracts to interact with data from outside the network, and allow the smart contract to also issue a payment on an existing financial infrastructure. So, interest rates for the selected banks will be given to smart contract to generate a Libor average rate – computed by a smart contract in a verifiable, approvable and trustworthy way. It will then be used by an actual smart contract security in a form of a smart bond. The Libor average interest rate will be used by the smart bond to calculate a coupon payment, which it will then use to generate a payments message over the Swift network. Thorsten Peisl, CEO of Rise Financial Technologies: “Our distributed ledger software does three things: issuing assets, settling securities transactions and record-keeping of ownership over time. Our solution is bespoke – built that is fit for specific purpose. We have plenty off-the-shelf technologies that are simply not fit for purpose. Like a golf cart – which is fun to ride but cannot race in Formula One, or a Formula One car that is useless on a gold court. Maya Zehavi, advisor to Coin Sciences: “We provide open-source blockchain platforms, focused on the issue identity and of privacy. We came up with a new feature called “screens” – a mini database on top of a database – a way to list and search items by identity, publisher etc. 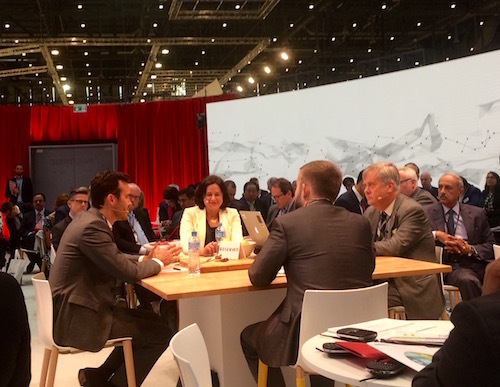 So what’s the next Innotribe Industry Challenge? It will be announced on Thursday, on the last day of the conference. All we know at present is that it will focus on compliance.